﻿ Leez Inn, Manila | FROM $17 - SAVE ON AGODA! "Good price and location the staff is very helpful and they r..."
Have a question for Leez Inn? "Good for couples, facilities ok.."
"Staff are nice and helpful!!!" "The place is good, clean and has an accommodating staff." "THE LEEZ -INN WAS A VERY COMFORTABLE STAY." 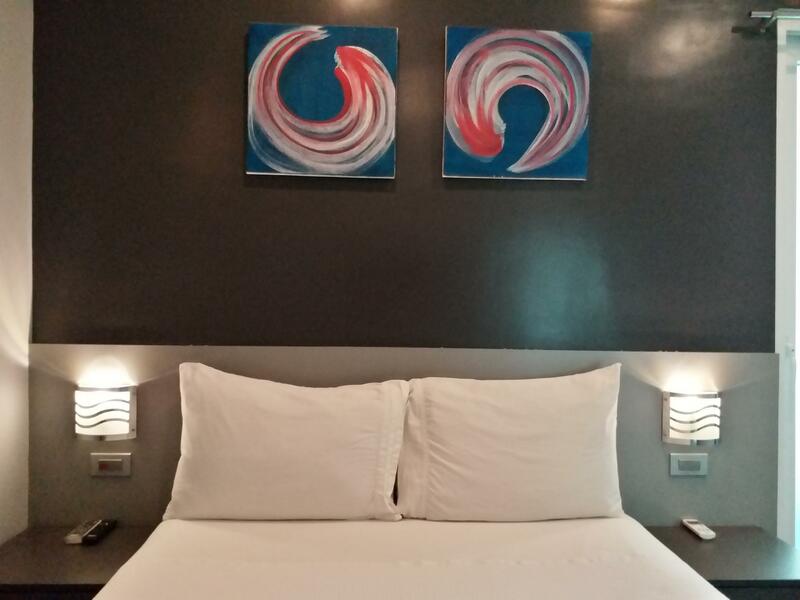 Conveniently located in Manila, Leez Inn is a great base from which to explore this vibrant city. The hotel lies 1.5 Km from the city center and provides accessibility to important town facilities. For those of you who want to venture out, Malate District, Paco Park, Philippine General Hospital are just some of the attractions available to visitors. 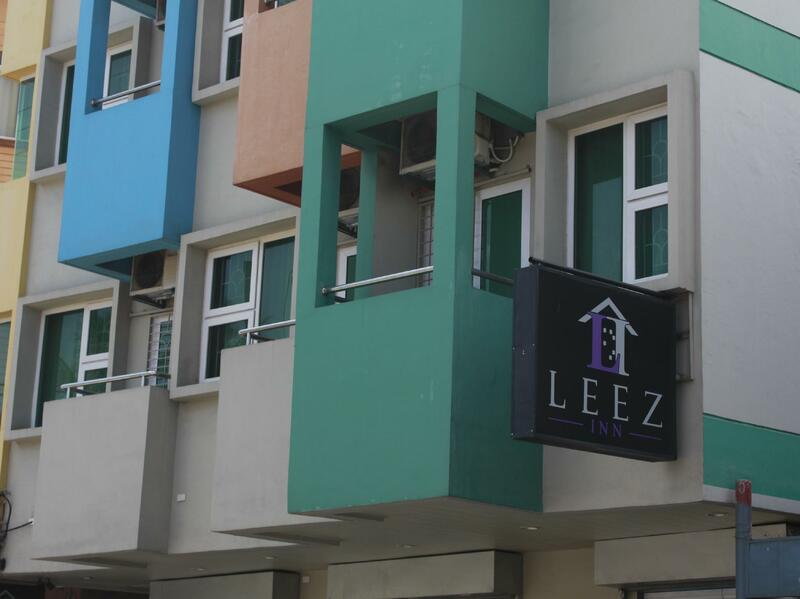 Leez Inn also offers many facilities to enrich your stay in Manila. To name a few of the hotel's facilities, there are free Wi-Fi in all rooms, 24-hour security, daily housekeeping, ticket service, 24-hour front desk. Experience high quality room facilities during your stay here. Some rooms include television LCD/plasma screen, linens, mirror, towels, smoke detector, provided to help guests recharge after a long day. Besides, the hotel's host of recreational offerings ensures you have plenty to do during your stay. 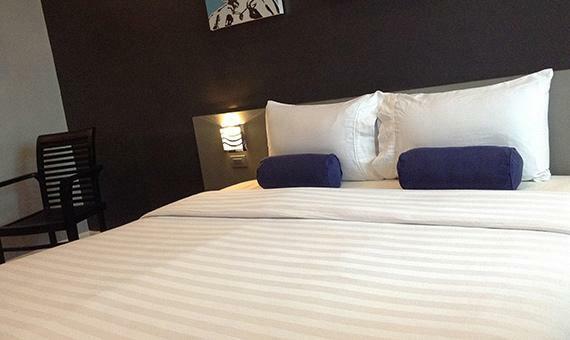 Leez Inn is your one-stop destination for quality hotel accommodations in Manila. 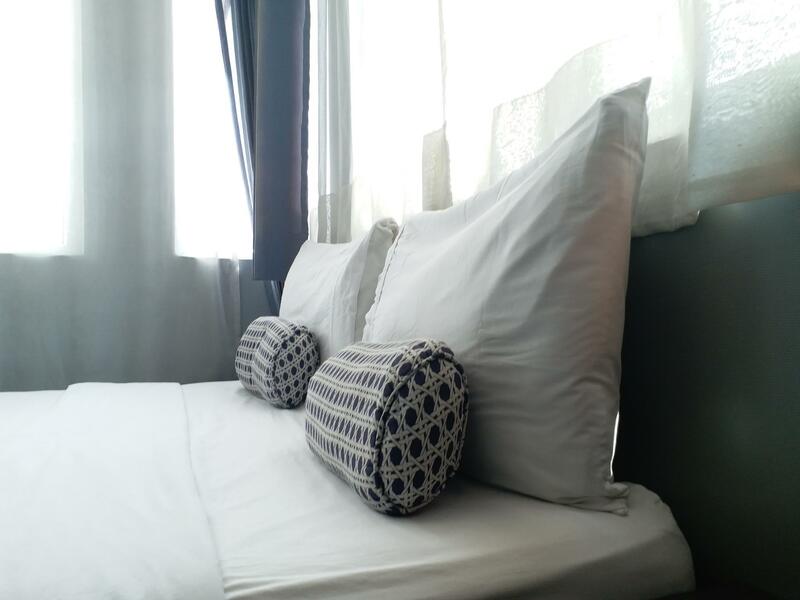 "Thanks for the welcoming atmosphere of all the staffs, espec..."
Wonderful Hotel, cozy, quite large and clean room. The room has a hot shower, a fridge and a kettle. Convenient location - half an hour walk to Intramuros, half an hour walk to the Robinson store. The staff at the hotel is just super, always ready to help! Recommend! Excellent hotel. Friendly staff. Highly recommend. a value for money hotel. comfortable rooms for a low price. staffs are well trained, approachable and respectful. i wud like to commend all the staff esp. the oic. just hoping next time we visit restaurant could also serve lunch & dinner. Dear Ms. Rhica, Thank you for your review of our hotel. We are pleased to hear that you enjoyed what our hotel has to offer. A positive guest experience is something our staff takes great pride in. We hope to welcome you again soon. Sincerely, Paula D.
No hassle durring check in. Staff is friendly all throughout our stay. At our heavily discounted promo rate, we found the room a great value for our budget (no brainer). Though you may still have to consider it at regular price. The deluxe room was spacious (for 2) and the lighting very intimate. It was an amazing, lowkey birthday for my boyfriend. We had issues with the hotel card being too loose and we experienced sudden outages at times, very incinvenient. The airconditioner can be too hard to control. The mini fridge was also inoperable but we didn't mind too much since we didn't need it. Dear Valued Guest, First, we would like to greet your boyfriend belated happy birthday and wishing him many many more birthdays to come. We are very honored to be part of his special day. We are happy you like our room and find it worth the price. We have taken note of your comments and rest assured that this has been discussed with concerned departments for appropriate action. Thank you for taking the time to share your feedback and we hope to welcome you back to our hotel very soon! Sincerely, Paula D.
I have always loved Leez Inn. This is the 5th time we checked in and they never disappoint. The cleanliness is great. Comfortable bed and it has water kettle and small refrigerator. All in all, good value for your money. Dear Ms. Venus, We are delighted to know that you enjoyed your stay and find our room clean and comfy. Thank you for this wonderful review and we hope to see you again very soon. Sincerely, Paula D.
Dear Valued Guest, Thank you for taking the time to tell us about your recent experience with us. We are glad to know that you had a pleasant stay with us despite the baggage storage fee. Please allow me to explain our baggage storage fee. Guests can store their baggage free of charge on the day of check-in and on the day of check out. Beyond these days, we will still allow guest to store their luggage with a fee of PHP400- per day for a maximum of 1q. meter storage space consumed. We hope to merit your understanding and also hoping to welcome you again in the future. Sincerely, Paula D.
Dear Mr. Robert, Thank you for this wonderful review. We are delighted to know that you enjoyed your stay with us. Thank you for choosing Leez Inn as your place of accommodation during your stay at Manila. We hope to welcome you again very soon. Sincerely, Paula D.
The stay at this hotel was ok until I requested to leave my small 5kg bag for safe keeping as I was flying to Palawan for 4 days. I was totally disgusted and dismayed that they wanted to charge 400 pesos per day for this. I have stayed in many hotels in Manila both cheap and expensive where I was never charged a fee to leave one of my bags for safe keeping whilst travelling around the Philippines. This hotel clearly displays no signs of loyalty or providing customer satisfaction. What makes this more disgusting is the the fact that I had stayed in this hotel for 2 weeks and had booked to stay another 4 days upon returinig from Palawan. Needless to say, won’t be staying this hotel again when in Manila or recommend this hotel to anyone. Dear Valued Guest, Thank you for taking the time to share your feedback. While I wish you had a better experience, it is feedback like this that we learn from and use to improve. We work hard to deliver an exceptional guest experience, and it's apparent in this case that we fell short. If you give us a chance to earn back your trust, I can assure you that we will do our best to give you the great hotel experience that so many of our guests have grown so fond of. Sincerely, Paula D.
+very near Robinsons mall manila, near two lrt stations quirino and pedro gil. +Clean room with complete amenities. Hot shower, shampoo, soap, toothpaste and toothbrush. There's a water heater, safety deposit box, ref TV and it's fully air conditioned. There's free breakfast but choices is limited. There's just one egg on weekdays and Saturdays plus hotdog or meatloaf which ever is available. Bread with butter or jam and a choice of coffee, tea or iced tea. On Sundays, you'll get 2 eggs and then bread with jam and or butter and fruits (canned). Eggs always sunny side up. Don't know if can request for scramble didn't try. -no elevators but staff is helpful in carrying the luggages. Dear Ms. Judielyn, We are pleased to know that you enjoyed what our hotel has to offer. On your next visit, you may request scrambled egg for your breakfast. Thank you for this wonderful review and we hope to welcome you again soon. Sincerely, Paula D.
This is our second time in staying in this hotel. We stayed for 2 nights during our first booking. And just recently, we chose again this hotel. It's very clean and we were upgraded in their king deluxe room for free. They had breakfast (no rice) included in the booking. Overall, I will still stay in this hotel next time. Dear Charity, We are happy that you are happy with our room and find it clean and worth the price. Thank you for taking the time to tell us about your recent experience with us and we look forward to welcome you again soon. Sincerely, Paula D.
Our room is on the 5th floor and we have ro climb the narrow stairs since no elevator. There's no slippers provided. Also the security deposit is too high since there's not much items that needs to be secured in the room. They said it was for the food if we are about to order but that's unreasonable. Dear Ms. Regina, Thank you for your feedback. We do not have an elevator but the staffs will help you carry anything up to your room. Though, we are thankful to you for choosing to stay at Leez Inn. We have taken note of your comments and rest assured that this will be shared with the concerned departments for future improvement and we hope to welcome you again soon. Sincerely, Paula D.
I was hesitant at first when I stumbled upon their bad reviews about this hotel like, NO ELEVATORS, RUDE STAFF, COCKROACHES, AIRCON NOT WORKING, PLACE IS SMALL, etc., BUT, as I scroll down the comment section, I’ve also read some good comments about LEEZ INN.. that convinced me more to book with the best price they offer, with the ₱880 price per night, who wouldn’t say YES? I got attracted with the nice interior of their room so, I booked it!! And just gave it a try. We had a hard time looking for the location but as soon as we arrived at the hotel, I got amazed! Outside doesn’t look deceiving, it looks quite scary like squatter area. But when we got into our room.. OMG! It look so perfect! 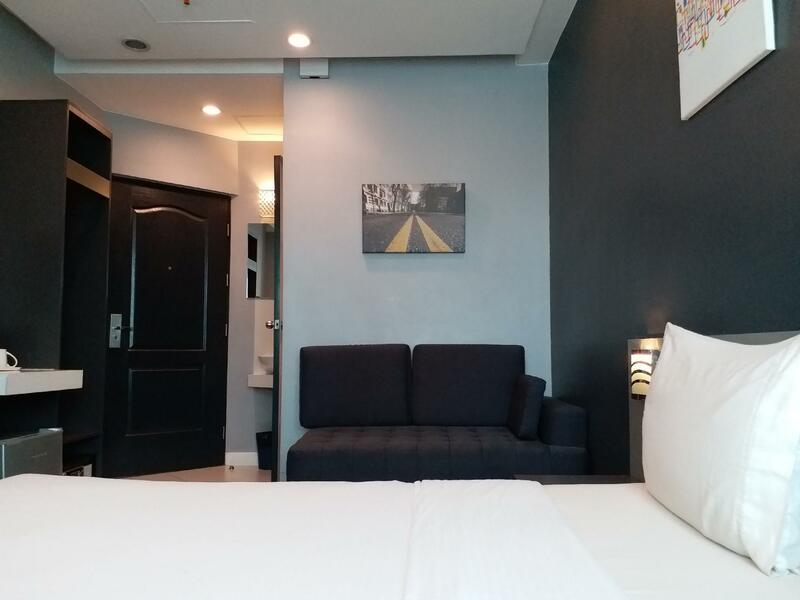 BIG ROOM (ROOM 408), VERY CLEAN, SMALL BATHROOM BUT STILL OKAY, QUITE BIG TV, COMFY BED, FRIENDLY and HELPFUL STAFF. We were advised to give ₱2500 incidental deposit as we checked in, it’s refundable. I booked it thru AGODA. My husband & I had an amazing stay. We’ll come back for sure! Thank you! Dear Valued Guest, We are delighted that you enjoyed your stay and appreciate your compliments about our staffs and guest rooms. Thank you for your great review and we are looking forward to your next visit to Leez Inn. Sincerely, Paula D.
Staff is very good and I would like to stay again. Dear Valued Guest, Thank you for dropping an excellent review. We are glad that you enjoyed your stay with us and it will be our pleasure to have you back again to Leez Inn. Sincerely, Paula D.
CR is way too small. Heater is not working well. Cable lose and disconnects. No elevator, We had to use stairs going to 5th floor. Dear Mr. Barry, Thank you for the review of your recent stay us. We not have an elevator but our staff will help you bring your luggage up to your room. We have taken note of your comments about the heater and the cable, and rest assured that this will be shared with the concerned departments for appropriate action to avoid recurrence in the future. Thank you for bringing this to our attention. We value comment like yours for us to know how and where we should improve. We hope to welcome you again soon. Yours truly, Paula D.
Dear Mr. Steven, Thank you for this wonderful review. We are happy to know that you enjoyed your stay with us and find our hotel worth the price. We hope to welcome you again soon. Sincerely, Paula D.